Football Manager 2019 asks you once again to become the coach of the team of your choice. Among the more than 2500 clubs available, you will necessarily find the one you want to manage on a daily basis. 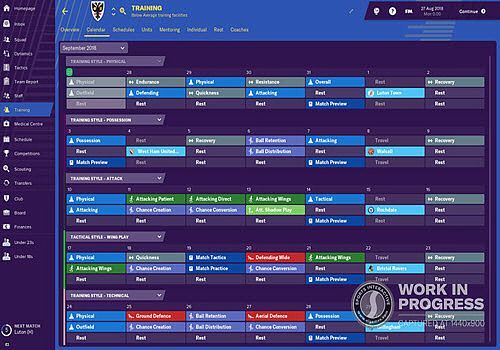 Football Manager 2019 puts you at the heart of team management: between tactics to be developed, media relations and player training, everything must be designed to achieve the best possible results and help you win matches. As every year, Football Manager brings its share of new features. The interface has been redesigned to provide more readability in the menus. The matches were also reviewed with several video technologies that are used as in real life to review certain game moments. But it is above all the training mode that receives the most news: about ten areas of improvement are proposed according to the needs of your players but also the matches in preparation. Football Manager 2019 continues to be the benchmark for football management games.